Hahnemühle Durer Etching 22" x 30"
Hahnemuhle Durer Etching 22" x 30" comes in 250 gsm and 300 gsm made from 100% cotton rag with watermarks. Durer Etching has deckled edges. 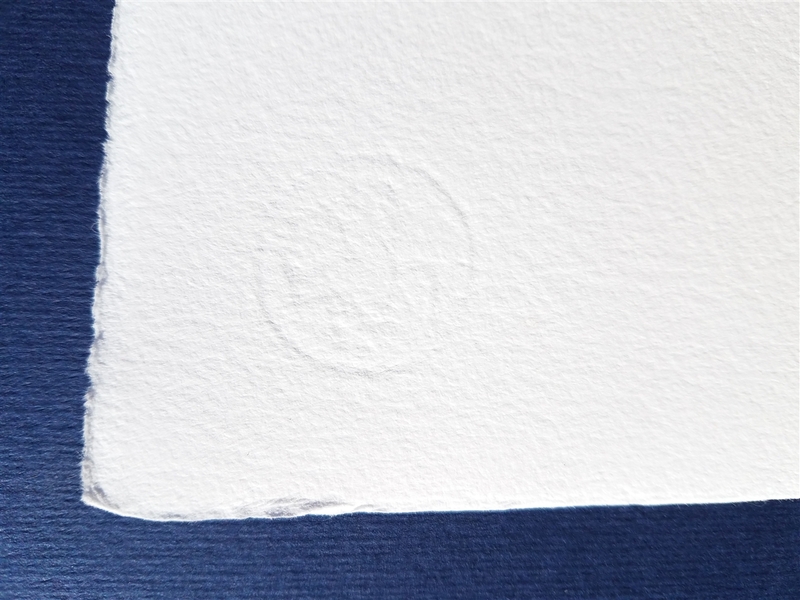 It is genuine mould-made printmaking paper suitable for an extensive range of printing techniques. Durer Etching new paper has a soft, cold pressed textured which is smooth but robust for soaking and stretching. This paper is suitable for any form of printmaking techniques: etching, engraving, mezzotint, drypoint, collograph and all types of intaglio, relief and lithographic printing or silk screen and serigraphic printing. Durer Etching is internally sized and displays the consistent quality of a machine made paper. Each piece has the watermark of the Rooster and Hahnemuhle. This paper has the individual character of a hand made paper as it is made by Hahnemuhle in Germany on a mould-made paper making machine.